Looking for an attractive way to share your faith? This beautiful tote bag is a great way to wear your faith on your sleeve. Want to wear your faith on your arm? The non-woven polypropylene material of the John 1:16 Tote Bag is durable and easy to carry, with two convenient handles sew at the top. 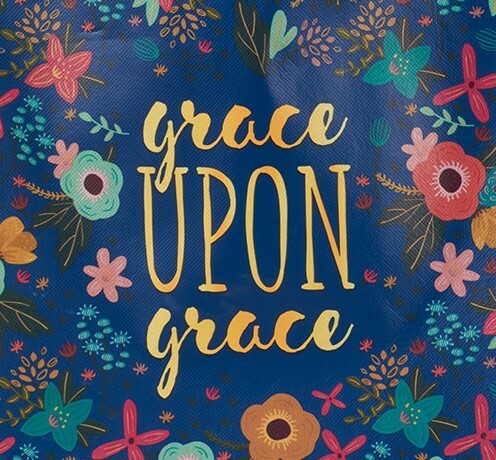 This floral tote bag richly communicates the "Grace upon grace" message across its center in gold, on both the front and back of the tote bag. The background color of the floral pattern is navy, and includes a mix of mint, pink and beige flowers surrounding the inspiring sentiment. 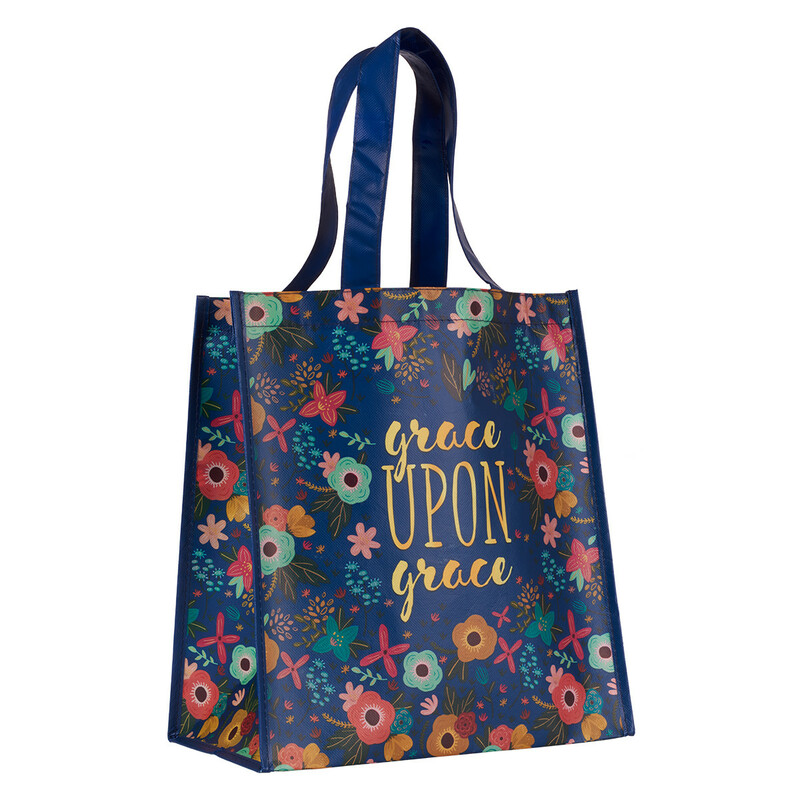 Grace Upon Grace Tote Bag by Christian Art Gift was published by Christian Art Gifts in April 2017 and is our 77th best seller. 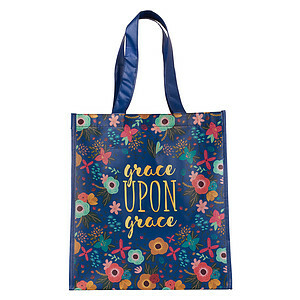 The ISBN for Grace Upon Grace Tote Bag is 6006937139992. Good quality tote bag at a great price! This was a great Christmas gift. Received with delight! A number of my friends liked the Grace bag for its colourfulness though the love deeply and violet floral heart tote bags were better received. Much appreciated by the mothers union of our little church, aptly named Grace Chapel. Good value. I’ve ordered more. Got a question? No problem! 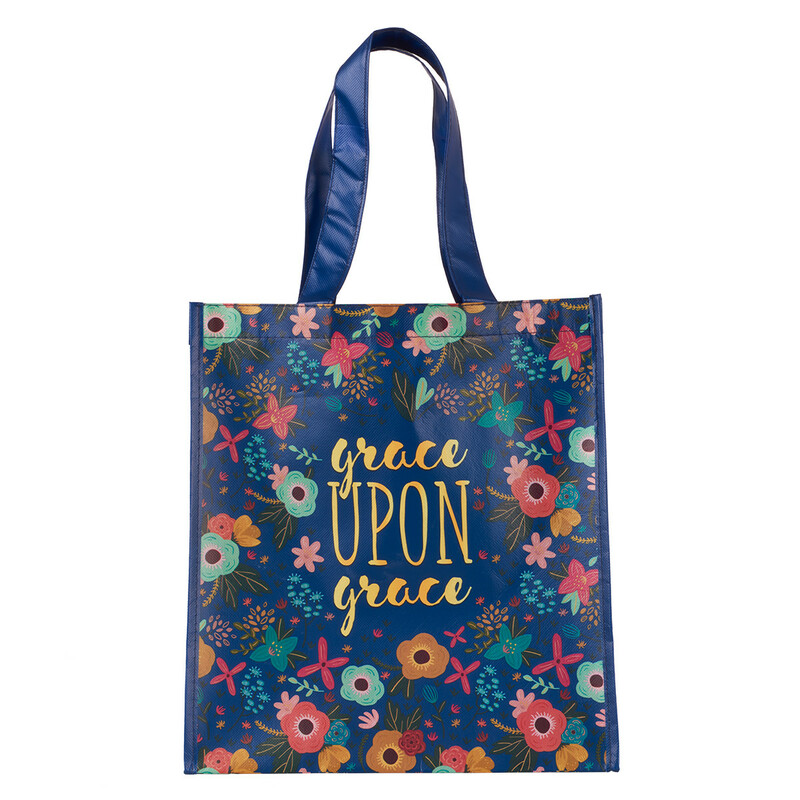 Just click here to ask us about Grace Upon Grace Tote Bag.